Drawing inspiration from their home of Zion National Park, Many Miles sound is best described as a blend of John Mayer, Amy Winehouse, Dave Matthews Band and Adele. With two powerhouse songwriters/lead vocalists Many Miles connects with a wide range of audiences with their funky soul/pop/rock sound and unique blend of styles. The band released it's debut self-titled album in the Spring of 2017 to international critical acclaim. Many Miles music was recently featured in a commercial on all national and global American Airlines flights. The story of Many Miles began in two places; the towering red rock cliffs of Zion National Park and the mystical lakes and forests surrounding Stockholm, Sweden. In 2007 word of American Singer/Songwriter Dave Tate’s etherial solo album, “The Solitude of Here” was beginning to spread throughout Europe. With high praise from several prominent music magazines, Dave’s music soon gained the attention of Swedish Singer/Songwriter Victoria Lagerström. She fell in love with Dave’s music and reached out to him to collaborate. Captivated by Victoria’s soulful voice and songwriting, Dave was on board. Victoria booked a ticket to Utah to write and record their first album. Over the course of a couple weeks as Dave and Victoria wrote the acoustic ballads that would eventually be “The Same Heart”, the two fell fast in love. They were married three weeks after meeting on a sagebrush hill in Dave’s native home of Zion National Park. Victoria never used her return ticket to Sweden. Since then the couple's music has taken them across the western United States, often traveling with everything they owned in the back of their truck. 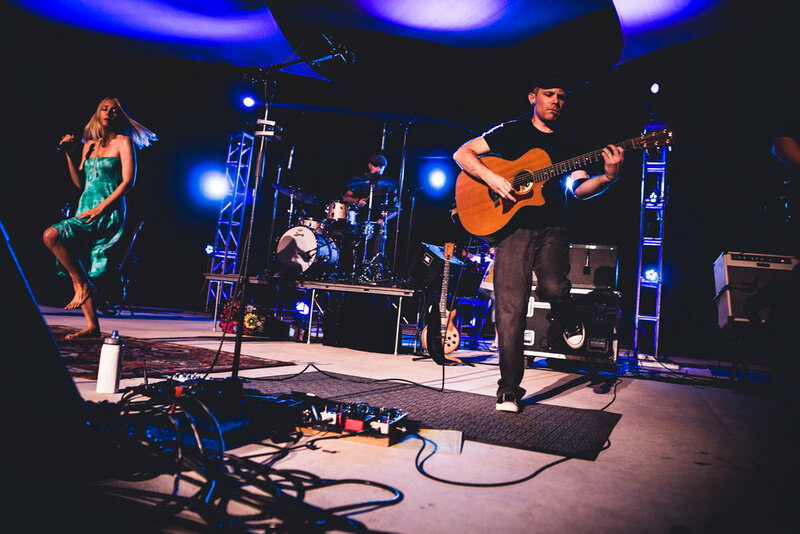 After several albums, several European tours as a duo, and honing their craft, living in the music scenes of Austin, Portland, and Salt Lake City, the couple was drawn back to the cliffs of Zion National Park. There, with some of the best session players in Utah, Ryan Tilby on Bass and special guest Marco Blackmore on Sax, they formed Many Miles - a hybrid of rock, soul, funk and folk, channeled through Dave’s pop/rock songwriting and Victoria’s soulful vocals. Get One Song at No Charge! Thank you! We guarantee 100% privacy. Your information will not be shared.